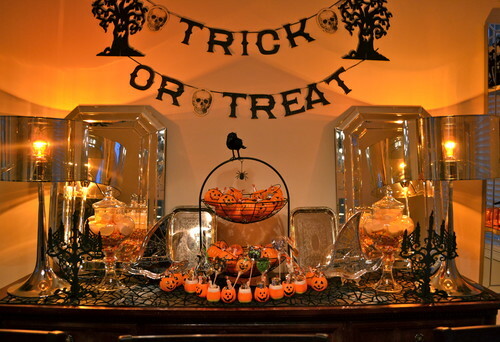 Be prepared to scare and entertain your ghoulish guests with these Halloween theme party ideas. The key to this party is candy, candy and more candy! 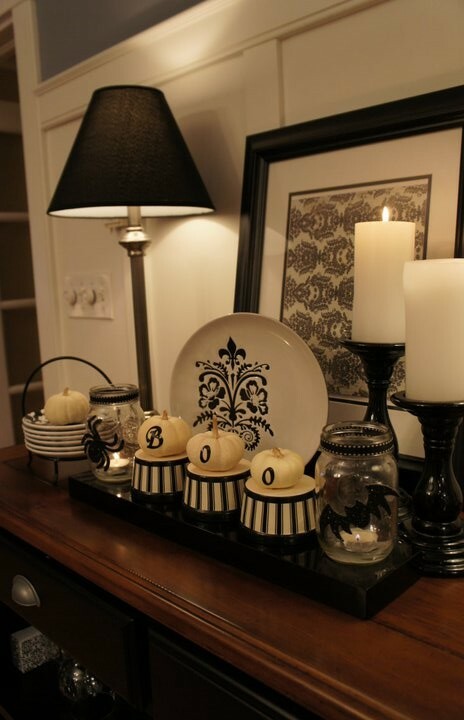 Lay out a main spread on a dining room table or hutch, and scatter candy dishes and jars throughout your home. Add a festive banner, Halloween lace runners and placemats and concoct Halloween beverages to enjoy. 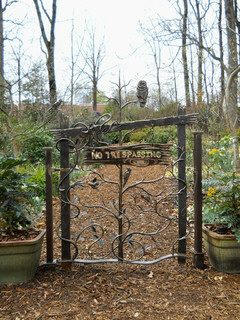 For the creatives and DIYers, and for those who can’t get enough of Halloween. 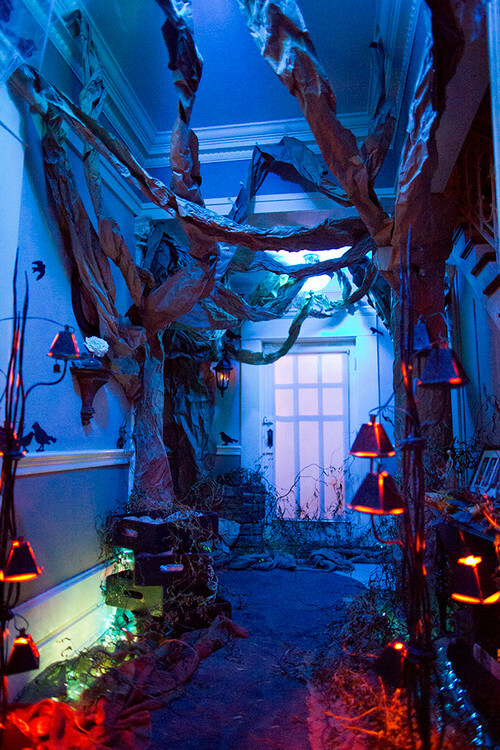 Create your own haunted house with cobwebs, witch sculptures and sound effects to start the evening off with a scare. 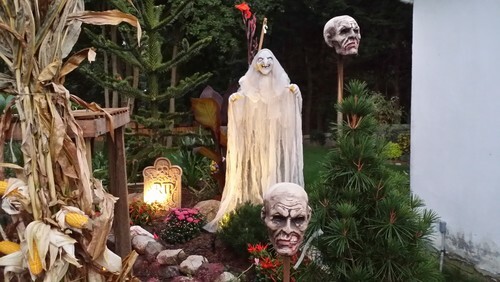 Especially if you live in a warmer climate, where there isn’t much chance of snow on Halloween, an outdoor Halloween party can be a lot of fun. Set out a table of snacks, drinks and candy, and decorate the outside of your home and your yard with jack-o-lanterns, string lights, spooky signs and the like. 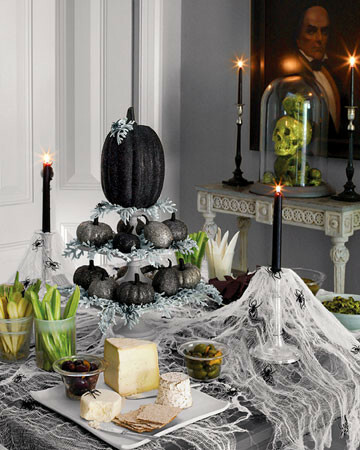 For a dinner party or less spooky party, simple black and white decorations, with a few pops of color, create a classic look that still carries a lot of Halloween charm. Glitter, ribbon and candles will bring the look together throughout your home. This entry was posted on Thursday, October 27th, 2016 at 9:50 am	and is filed under Crafting, Decorating, Entertaining Tips, Halloween, Thursday's Theme. You can follow any responses to this entry through the RSS 2.0 feed. You can leave a response, or trackback from your own site.